While the Maasai Mara National Reserve is famous worldwide, the community lands that surround it are less well known, despite their greater overall biodiversity. Over the last decade, land use change and an increasing human population has seen growing pressure being put on this savanna ecosystem. While some areas have seen increased degradation, the creation of several community-owned wildlife conservancies has allowed for regeneration of grass, easing of pressure on water sources and the slow return of Acacia woodland. In sharp contrast to the National Reserve, conservancies provide a predictable monthly income to the communities that own them, as well as improved grass for their cattle on a rotational grazing basis, allowing them to derive direct benefits from conservation and improved land management. This module is based in Mara Naboisho Conservancy, a 50,000-acre area set up in 2010 by over 500 landowners on the northern border of Maasai Mara National Reserve. Naboisho’s open plains, Acacia-Commiphora woodland, rocky outcrops and varied riverine vegetation provide habitat for around 400 bird species and over 60 mammal species. 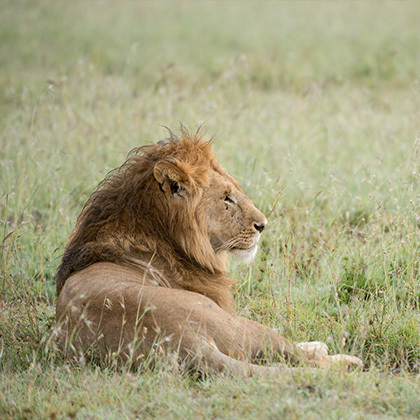 This area plays host to some of the highest wildlife densities in Africa and with its rotational cattle grazing plan for the surrounding Maasai community, it is an ideal location to study human influence on a savanna ecosystem, ecology in general and challenges to conservation in East Africa. Accommodation will be provided in partnership with the Koyiaki Guiding School, a community initiative to train young Maasai women and men as field guides in order to encourage employment in the wildlife tourism industry. The guiding school is an ideal base, with adequate accommoadation, hot showers, toilets, an outdoor dining area and access to classrooms, internet and electricity. Practical: Field-based data collection and analysis; bird and plant identification techniques; big cat tracking; camera trap transects; and participatory rural appraisal. Theory: Savanna ecology; community based conservation; holistic management and rotational cattle grazing for improved grass yields; human-wildlife interactions; and consumptive use vs. traditional protectionism. The minimum duration for this module is 6 days. The maximum length is 21 days (longer modules may incorporate additional study locations). 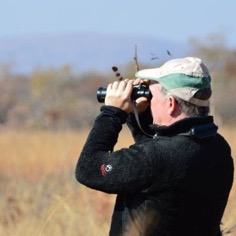 Stewart is a Professor of Biodiversity Conservation and has led the Spatial Ecology and Land Use Unit in Biological & Medical Sciences at Oxford Brookes for over 20 years. He has a particular interest in how threatened species use landscapes in response to policy and management initiatives. 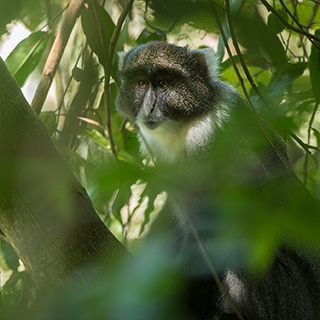 Much of his current work surrounds understanding herbivore population changes and movement patterns in protected areas. For the last decade, he has been working on projects in the Maasai Mara, investigating herbivore response to the creation of wildlife conservancies and assessing aspects of eco-tourism impacts to wildlife. Thank you for your interest in this module and developing a faculty-led program with EDU Africa. We pride ourselves on our ability to customize a program that will meet your requirements, exceed your expectations and make your vision come to life. 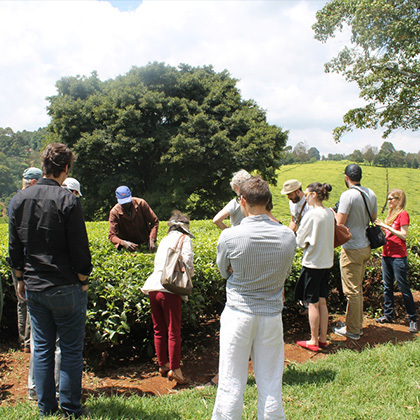 Touring the Kiambethu Tea Farm gives insight into the colonial history and economics of Kenya, as well as the process undergone to transform the leaves of a tea bush into one of the most well known beverages of all time. The tour includes a walk through indigenous forests rich with medicinal trees, as well as a delicious colonial luncheon on the lawn. River Tana is the perfect place for white river rafting, with rapids ranging from grades three to five. It is also the only place in for white river rafting in Kenya. Upstream and downstream currents, including waterfalls, provide different technicalities that challenge beginners as well as more experienced rafters. 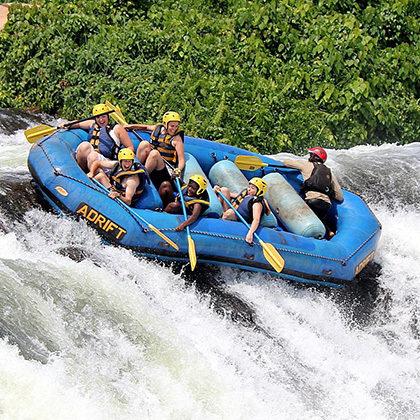 Rafting River Tana is a worthy adrenaline rush! Incredible wildlife is one of Africa’s most appealing icons, and is desperately in need of protection through conservation and educational projects. Many conservation efforts give rise to amazing volunteering programs, such as the opportunity to research and monitor big cats. Taking part in this project gives students a chance to deeply experience and engage with some of Africa’s most powerful and breathtaking wildlife. Brackenhurst Botanic Gardens is a vibrant gateway into the world of pre-colonial climate diversity. Rising out of misty, rolling hills of emerald-green tea, these gardens stand as a testament to the power of environmental restoration and protection. The project began in the year 2000 and includes an arboretum of rare tree species that are critically endangered across the continent.